The World Wood Day Foundation (WWDF) is pleased to announce the Research Grant application is now open for submission and must be submitted by the deadline of 17:00 GMT on Monday, February 12, 2018. WWDF invites applications relevant to "Wood and Culture" from scholars and graduate students, a historical perspective is particularly encouraged to apply. Please review the guidelines prior to submission. Supported by World Wood Day Foundation, this webpage serves as a platform for the scientific community to collect, display and share early traces of wood utilization. Please come to explore or contribute to this webpage! IWCS is currently holding the International Woodcarving Art exhibition at DongYang Woodcarving Museum from May 18th to August 17th in DongYang City, Zhejiang Province, China. The 108 carvings are the collections of 90 woodcarving artists from 64 countries at 2014 World Wood Day themed “Homeland." 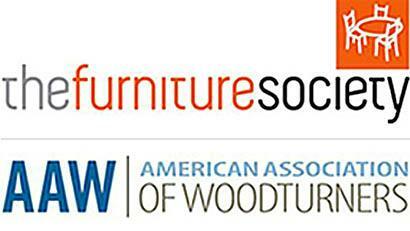 The Furniture Society (FS) & The American Association of Woodturners (AAW) have their first joint symposium in Kansas City, Missouri, USA from June 22-25. 2017 World Wood Day will be held in Los Angeles, California, USA on March 21st with the theme of "Roots" to review our identity, culture as well as interrelationship with nature and wood throughout the history. IWCS is attending the IUFRO Regional Congress for Asia and Oceania held in Beijing, China from 24th to 27th October. The congress title of the IUFRO-AO 2016 is Forests for Sustainable Development: The Role of Research. The 2nd International Symposium Wood Science and Craftsmanship, with the theme of "Beauty and Technology in Wood Utilization", is held on 20-23 September 2016, Kyoto, Japan, following the first WoodSciCraft 2014 in Montpellier, France. IWCS is attending this professional gathering as a sponsor and continued supporter. IWCS is pleased and honored to introduce a new children’s book, Roboky and the Forest, an educative picture book for children and parents who wish to learn more about the nature. IWCS invites everyone to be with Roboky to discover the Forest. 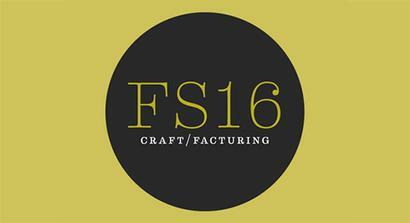 The Furniture Society, founded in 1996, is a nonprofit and educational organization. The 2016 Annual Conference will be held in Philadelphia, USA from June 22 to 25.